I sent a quick heads up to some of my prayer partners through e-mail; I wanted a confirmation that each of them would be available and ready to pray together on our designated day. One response came back and looked like it had been quickly sent off. ” I will try to make it…”. I thought to myself, try? It really got me thinking about commitment, faith and calling. First of all, I want to say that this is in no way a judgement on anyone as in reality, the person who sent that particular note made it and we had a blessed and needed time of prayer. Also there are times and circumstances that we are committed to a ministry or cause but in reality cannot be where we are called to be and that is all in God’s hands. But the fact is the response prompted a few thoughts and caused me to examine myself and I wanted to share those thoughts here with you, whatever the worth. 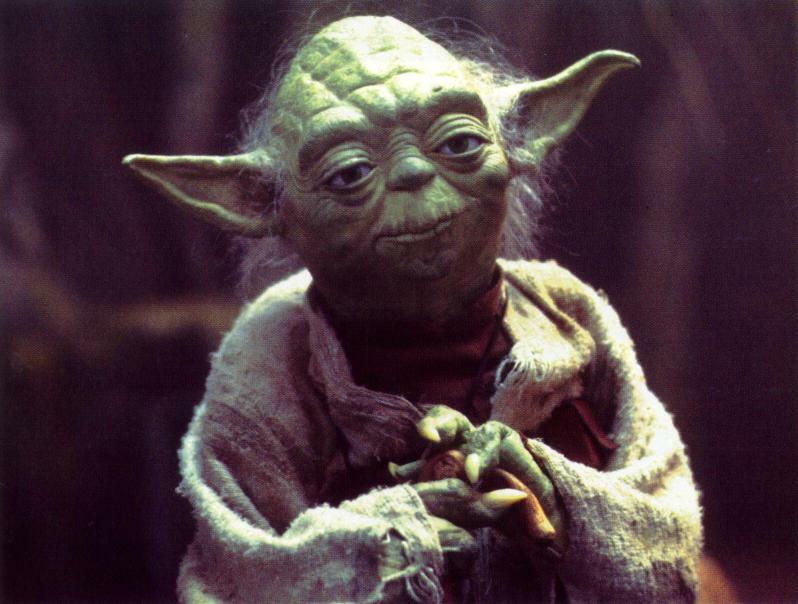 *At the bottom of page is the Waves Sound box (Grooveshark), you can pause to listen to 25 seconds of wisdom from Yoda from this Star Wars Clip! I love the way Yoda tells Luke in this wonderful scene in Star Wars how he must unlearn what he has learned. I have found so much of my own life of faith has been, after all, a great UN learning. So much of what had been helpful to survive childhood trauma had to be released. Former strengths became strongholds as my spiritual formation began to take hold in this life. Wrestling with God over who would determine the course of blessing, ultimately sitting on the throne in the chamber of my heart, brought injury to myself and others. Learning to trust and submit came at a cost that was deemed necessary pain in the unlearning process. Learning to rely on Him alone by grace alone, through faith alone, seems easy enough to say, but is harder to live by, as Satan pursues those who are marked for Kingdom service. But He who is in each of those called is stronger than he who is in the world. I look at what I am doing or where I am? It has caused me to stumble in ministry and my walk more than once. and sensing a glimmer of the great Glory before me. run, shrink back, get sidetracked with temporal things. Ultimately, I make the mistake that many make at one time or another this side of eternity. I take my eyes off the Master. I forget His promises. I forget what He has spoken in our sweet times of fellowship and intimacy. his bold proclamations and fears. And ashamed that I am Peter on His worst days. and tripping on my own long tassels. I recall the delicacies from days past. So how do we turn our eyes back on to the one who is faithful? Here are 4 ways I considered. it is you who have strayed from God; God has not changed. A wise friend said to me once when I was in a backslidden state: “Dawn, God has not gone anywhere. But you have.” I was not very happy when he said these words, but he was right. I would have done well to heed those words immediately; instead I wrote a few choice descriptions of him in my journal. Later, I recognized God had used this friend to speak truth. Once you recognize you are the one who is offtrack, get back on track. As one very fine friend said to me, “Do what you did before”. That was actually a biblical principal. In that the returning was to the simple acts of obedience and trust I had done as a “baby” Christian. It’s amazing how many “good” things can get Christians out of the will of God. to the Everlasting Arms of the one who will never fail, leave or forsake you. There is nothing more beautiful than learning firsthand the graciousness of God. Except that once you receive it you know how to give it. Therein is the key and last important component of our turning back. His amazing love, grace and mercy towards you. In doing this, you are empowered to lavish it on others. Do likewise and be wise! Dear Lord, Jesus, I am incapable of anything worthwhile apart from your saving grace, mercy and everlasting Love. Thank you for being faithful, even unto death on a cross, that I might live the life you have called me to. By your power, for your glory, learning as one who is blind, naked, wretched and poor, I ask for the riches of your wisdom and rejoice in your truth. Lavish us with your love that we might know what it means to love…by your example; though it cost us everything. We know it is the way to freedom now and forever. Amen. *This is a re-post from March of 2012. As I read it, I was amazed at how much of it applies to my life right now! So from the Archives, I give you Yoda’s Wisdom. May it bless you. Amen! Yes! Yes! Yes! Do or not do. There is no try. Bless you girl. So good, thanks for these words Dawn! Yes, I needed this one this morning. We either do or we don't. God has given us all we need to succeed. Have a lovely weekend Dawn. I will “try” to follow this wise counsel my dear friend. I too am guilty of just “trying” and not following through with my commitment. May God help me to unlearn these bad habits. Thank you for this today. I needed it. Great post! I'll remember the lesson of the four Rs!